What's new in PaperCut 18.3? With this release comes new integration to G Suite, print job settings for Kyocera devices and Stapling options for Global Print Drivers amongst other things. Get the full feature list below! Good news for G Suite organisations, you’ll be able to sync and authenticate G Suite users with PaperCut MF and NG. PaperCut’s G Suite integration simplifies the printing process for Chromebook and G Suite organisations, allowing users to authenticate with their Google credentials. When used in conjunction with PaperCut’s Mobility Print and Scan to Google Drive, Google organisations can now benefit from a seamless print, scan, and copy solution. Sync users from Google Cloud Directory, which supports both G Suite and Google Cloud Identity. This new feature makes the transition to the cloud easier for Google G Suite and Google Cloud Identity customers. Users can now authenticate using their Google credentials on all PaperCut interfaces. Google Cloud Directory can be configured as either a primary or secondary sync source and is fully compatible to run alongside another sync source such as Active Directory, giving administrators a flexible migration path. PaperCut 18.3 is introducing a new, secure LDAP feature enabling Sysadmins to sync users and groups from G Suite. Users will only need to log in the once to print. With 4 million customers, of which 1 million are new this year, G Suite is growing in popularity. How will people benefit from the integration? Users can now create text-searchable documents from any type of scan action, to easily find important information in a document. DOCX and PDF text-searchable outputs are supported. Kyocera joins the others in allowing you to change print job settings at devices. Users will also be able to see the environmental impact that their print setting changes have made. Unlike other print management software, PaperCut instantly shows users the cost savings their choices have made (changing from two-sided to one-sided printing, for example), encouraging behaviour change and thoughtful printing. On the admin side, sysadmins will gain greater control over print setting option changes, so they’ll be able to improve cost savings. If your devices can staple, you’ll be able to utilise the functionality using PaperCut 18.3. Users will be able to select stapling options. *Many more manufacturers are being added all the time! The above is just a snapshot of what is new in PaperCut V18.3, if you would like more information or talk to us about upgrades for your customers then please get in touch, all your customers need is valid PUA (Premium Upgrade Assurance). Google Cloud Directory (G Suite and Google Cloud Identity): Fixed a broken link in the Admin web interface to the documentation for setting up Google Cloud Directory user and group synchronisation. Google Cloud Directory can be configured as either a primary or secondary sync source and is fully compatible to run alongside another sync source such as Active Directory, giving administrators a flexible migration path. You can now configure a ‘Sign in with Google’ button to display on the User web interface, Admin web interface and Mobility Print on Chromebooks. This lets users sign in to PaperCut MF without retyping their credentials. Change print job settings on Kyocera: The ability to change the settings of held print jobs is now available on Kyocera devices. When installing PaperCut MF, you can now skip the step to select a user/group sync source and configure that separately later. This speeds up the installation. Added the ability to start a new scan job from the Scan More or Finish screen, retaining the current scan job’s settings and account selection attributes. Added the ability to configure (on the Admin web interface Scan Actions page) up to three output file types that a user can choose from at the MFD. Some of PaperCut MF’s advanced Integrated Scanning features, such as Scan to Cloud Storage and text-searchable documents, are now processed through “PaperCut Cloud Services”. Document processing in the cloud takes away the hassle of managing the performance of local infrastructure. Note: An active Premium Upgrade Assurance (PUA) subscription is required to use this feature. Port 9195: PaperCut MF now supports both self-signed and CA-signed SSL/ HTTPS SHA2 certificates on port 9195. This is turned on by default for new installations; existing installations require them to be turned on manually. Site Server: You can now specify a list of IP addresses or subnets that are allowed to submit information to the Application Server. This is configured in Options > Advanced > Security section (or using the auth.site.allowed-addresses config key). Admin web interface: In ‘Options’ there is now a ‘Tools’ tab. 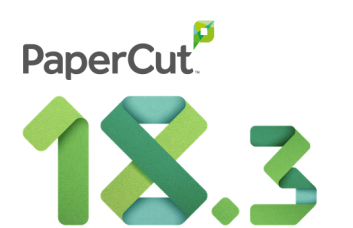 The Tools page lists all of the third-party systems that PaperCut MF directly integrates with. getPrinterProperty()—now supports a ‘printer-id’ option, which is also available via the server-command utility. This option improves the usefulness of the health monitoring API. getSharedAccountProperty()—now supports an ‘account-id’ option, which is also available via the server-command utility. This option is useful when setting the printer property advanced-config.override-no-popup-charge-shared-id using setPrinterPropertyMethod(). It is no longer possible to log in to the Site Server using the locally defined Admin credentials. Admin credentials from the Primary Server must be used. Fixed an issue that incorrectly included sensitive authentication information in debug logs. When creating a new device (Devices > Create Device), selecting “Enable print release” now also displays the “Enable find me printing support” option. When creating a new device (Devices > Create Device) or when editing an existing device (Device > External Device List > Device Details > Print Release), selecting “Enable print release > Virtual with Hold/Release” now also selects the “Enable find me printing support” option. Windows Print Provider: Added ‘Remote Desktop Easy Print’, ‘PDF Architect’, and ‘eDocPrintPro’ to the list of ignored virtual printers. Device log uploads: Restricted the upload of logs to be only from known device addresses, and added a maximum log file size limit. Fixed an issue that caused PINs to be displayed instead of masked on the device Login screen. Integrated Scanning: Added the ability to start a new scan job from the Scan More or Finish screen, retaining the current scan job’s settings and account selection attributes. When the device’s Web Browser Setup > Web Applications Version is incorrectly configured, the device now displays an error message. The “Prompt for more pages” checkbox on the Scan Details screen and the Scan Settings screen is now changed to “New Document”. Added a new checkbox “Additional pages” on the Scan Details and Scan Settings screen. This controls the display of the “Finish” button on the device’s scanning screen and also controls the user’s ability to add more pages to a current PDF scan job and receive it as a single PDF. Added a config key to customize the default setting of the “Additional pages” checkbox on the Scan Details and Scan Settings screens (ext-device.konica-minolta.scan.additional-pages.checkbox.checked). Security: PaperCut MF now supports both self-signed and CA-signed SSL/ HTTPS SHA2 certificates on port 9195. This is turned on by default for new installations; existing installations require them to be turned on manually. Fixed an issue that incorrectly displayed an error message when a user with a username that contained special characters, attempted to log in to the device. Fixed an issue that could incorrectly cause the installation of PaperCut MF on the device to fail, displaying an error message on the Device Details page. Standard: Added a config key to toggle the display of the cost of held print jobs on the Print Release screens (ext-device.konica-minolta.release.show-cost). Viewing print job settings at the device: The SysAdmin can now configure the PaperCut MF Print Release screen to hide or display the account and the balance of a print job. Added a config key to specify the version of the print release screens used by the device, either allowing users to or preventing them from being able to change the settings of held print jobs on the device (ext-device.kyocera-mita.ui.use-legacy). Fixed an issue with the layout of the Print Job Details screen on small panels that prevented the “Release” and “Cancel” buttons from displaying. Added a config key to customize the default setting of the “Additional pages” checkbox on the Scan Details and Scan Settings screens (ext-device.sindoh.scan.additional-pages.checkbox.checked). Standard: Added a config key to toggle the display of the cost of held print jobs on the Print Release screens (ext-device.sindoh.release.show-cost). Fixed an issue that prevented card self-association from working when the device had group filter restrictions enabled. ** If you use print scripts, then when upgrading from 18.2.6 or below, the ability to change print job settings at the device is switched off by default. Before switching on this feature, read the following considerations.